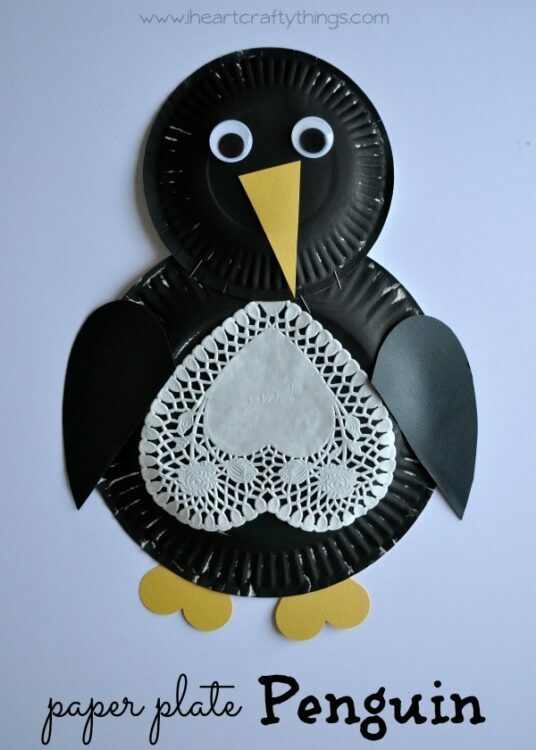 Valentine’s Day seems to be in full force in the blogosphere, but we picked up a penguin book on our last trip at the library so I wanted to make one last winter animal craft for the year. 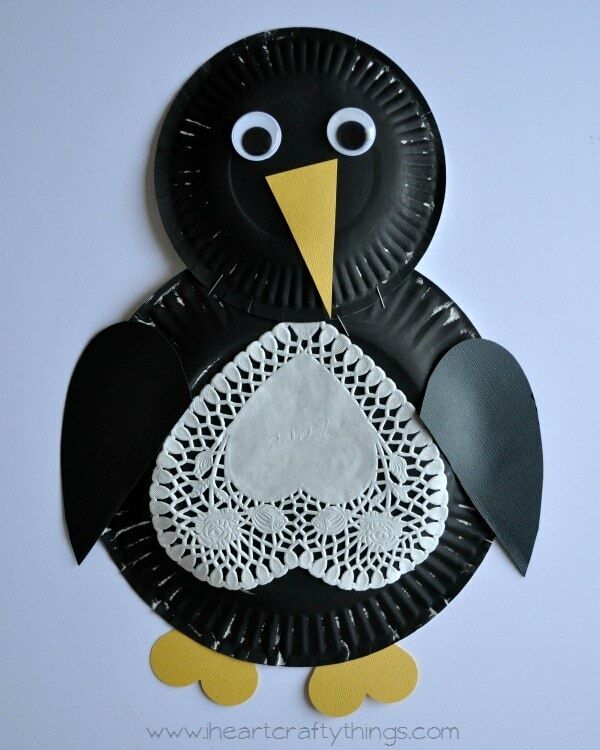 We have had our heart doilies out so they were a perfect compliment to our Paper Plate Penguin. 1. 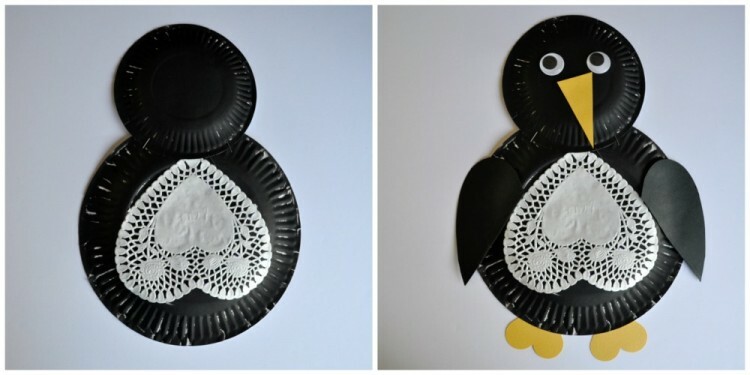 Paint both of your paper plates black and let them dry completely. 2. 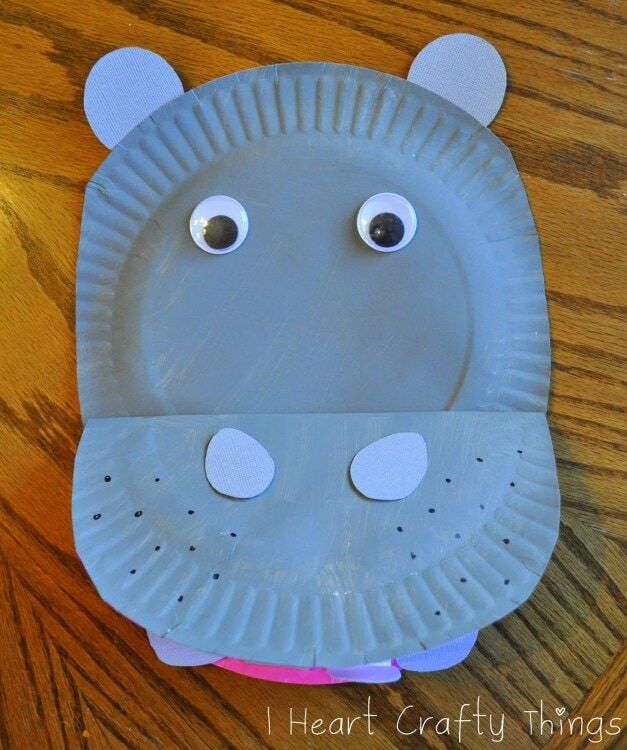 While your paper plates are drying, get your other pieces ready. 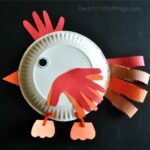 Cut two hearts out of your yellow cardstock paper with your heart punch (or just cut them out) and a triangle beak. Cut another long heart shape out of your black cardstock paper and cut it half. 3. 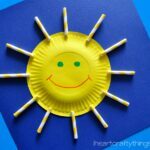 When your paper plates are finished drying, glue your heart doily onto your large paper plate upside down, and then staple your small paper plate onto the top of the large plate. 4. 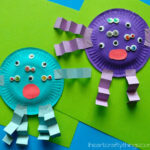 Finish your Penguin by gluing on the googly eyes, beak, feet and flippers. Just posted a pic on instagram that reads, "One cannot be angry when one looks at a penguin." It's true isn't it?